Communications Trends Limited CTL is a Terrestrial multi-channel Pay-TV platform that functions in some cities in Nigeria. CTL has wide coverage, cheap decoders and subscription packages as well as a large variety of entertainment and sports channels. With CTL you can watch top sports programmes like WWE Wrestling, Football(EPL, Champions League, La Liga etc) Basketball, Tennis and more just by purchasing a CTL decoder and Antenna at a price range between N8,000 to N10,000. Some of the cities where you can find CTL coverage in Nigeria include Ibadan, Port Harcourt, Akwa Ibom, Benin, Bayelsa, Delta, Aba, Owerri, Lagos, Warri and several other cities. You can get a CTL decoder for between N8, 000 and N10, 000. This cost also covers for the antenna which is very effective and gives clear and sharp signals. 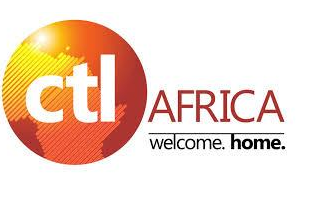 CTL subscription costs N2, 800 per month/ or you can buy any of their recharge PINs available from their retail outlets. It offers about 56 Premium channels across different genres. There are several sports channels, musical channels, religious channels, Fashion channels, Movie Channels, Children’s channels and basically everything you would need. All bein sport channels, CNN, BBC, Aljazera, MBC 2,4 and MBC Action and Max, ait, Channels TV, MTV, MTV base, NTA, Sound city, joy sport, dubai sport 1, ad sport 6, tbn, ewtn, cn, natgeo wild, wwe, AIT sport, dubai one, CCTV News, Joy tv, Dove vision, France 24, Emerald, City TV, Igbo tv, Bollywood, series, 4kids, Sony, Star movie, star world, NatGeo, Bloomberg, Nollywood, Discovery, Makosa, Fox, Fox Movie, child, BET, e-channel and gh one. If you have any enquiries or complaints, you can contact the CTL customer service centre on 08104631617 or 08058736388. Let us know if you are already using the decoder and what has been your experience so far? First I’m hearing of this. And their Channel list is very ok.
first time of hearing about ctl but if they offer all those channels lised then they are viable. it seems okay, this one they launched silently without any noise or fanfare. Ctl don dey for years. I saw it when I visited Benin like 6 years but unfortunately not available in State of Osun. I swear their channels are better than of TSTV. THE reason why I like TSTV is because of that mbc Action and their hit music. Then I like DSTV because of discovery. I like wwe channel but dstv don’t even have it. Should have gone for this supposedly I know on time. No wahala sha. Thanks for the information. This is exactly what some viewing centers are using to show matches here in Uyo and I must say I’ll always be surprised that it has not displaced DSTV by now because it’s rich in content and comes very cheap . I think there are better packages in this, Will try it out. I normally see this in Onitsha shaa. May try it out. Prof please your comment section should have a “delete” option for comment posted with mistakes, you know android keyboard with over sabi. Read this, the monthly subscription is 3200 not 2800 per say. It covers all the major leagues including Champions league. The only problem should be the picture quality not being HD. It what am using in my office here in Portharcourt. Thanks for the head up. Is it all the package that goes for 3200 or some goes for N2800? I’m also aware they have HD decoder and normal decoder, are you using the HD decoder or the normal decoder? Well, I’ve been using ctl for over two years now and it’s always 3200. I don’t think it has another package, not sure, it’s always 3200. It’s not the HD version though, only see that on TV. While watching the Epl, it’ll show beingSport3HD, but the quality isn’t HD. And at times, theres this audio seizures. But overall, it the big Big deal. I actually visited a friend in PHC few weeks back and he was using the CTL HD decoder. I checked the sport channels the pic wasn’t bad. The only channel with bad pic was their Yoruba Channel.. nothing to right home about.. Thanks for the head up bro. Lie, big lie. It has a better signal than Dstv. Recharging is as simple as recharging my phone. You know you just told a big fat lie Sir.